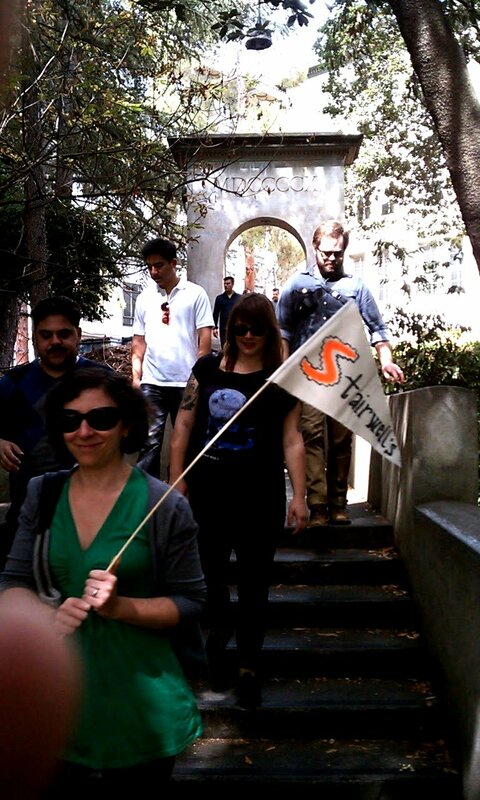 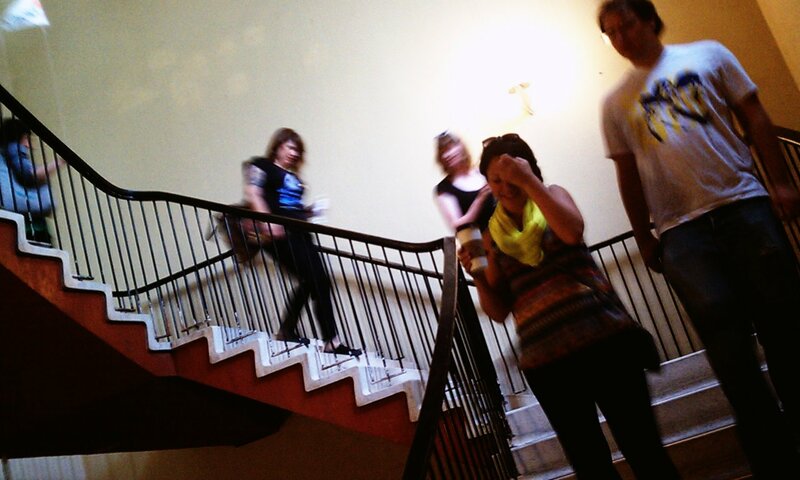 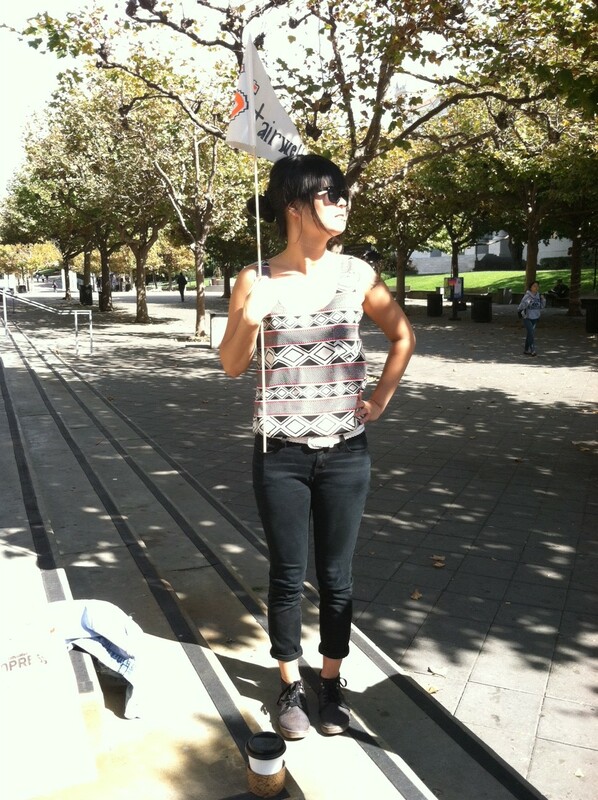 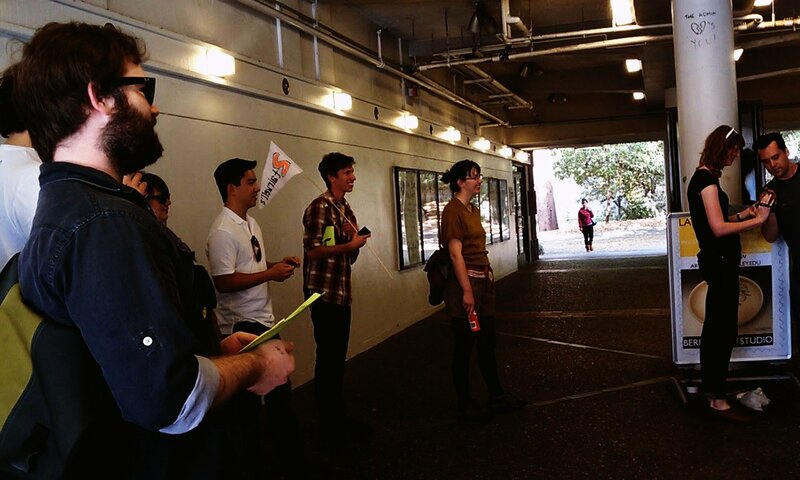 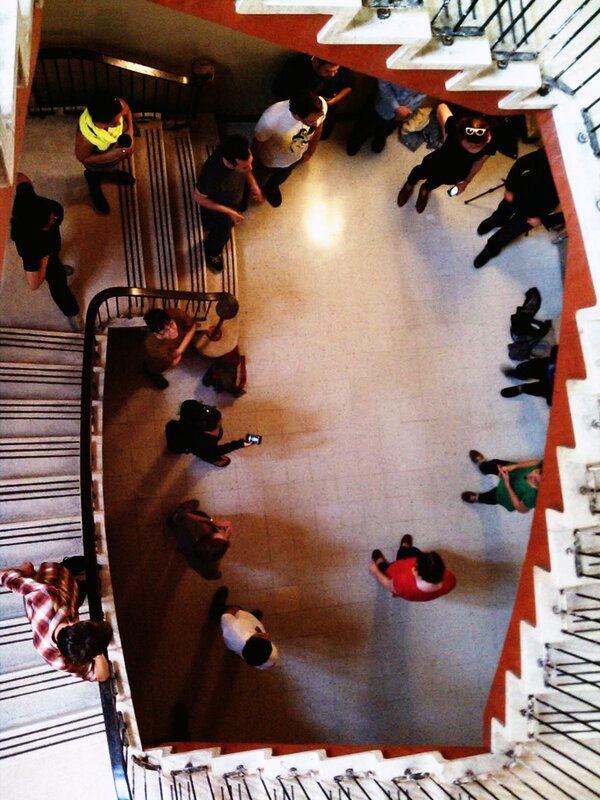 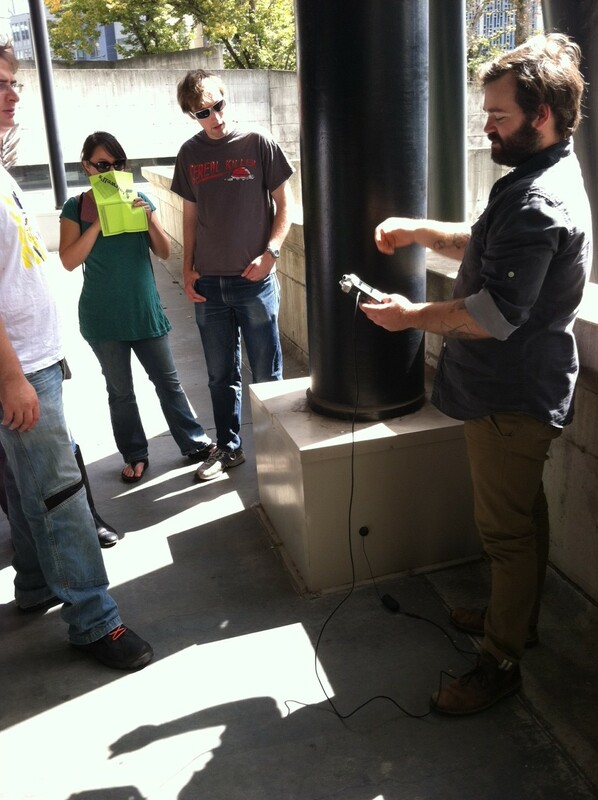 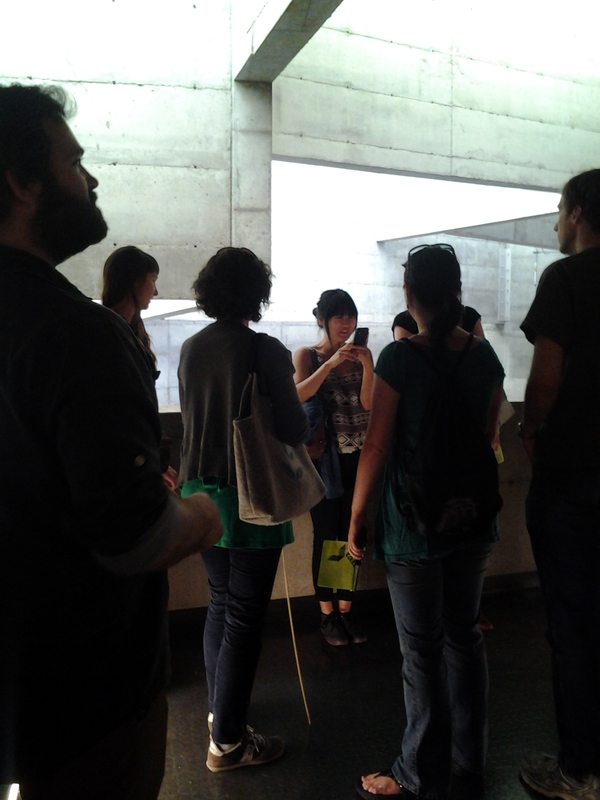 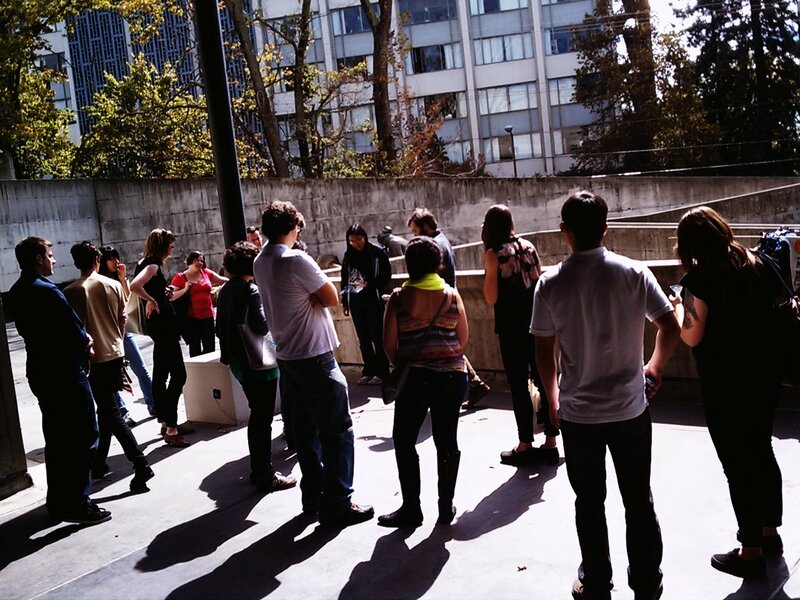 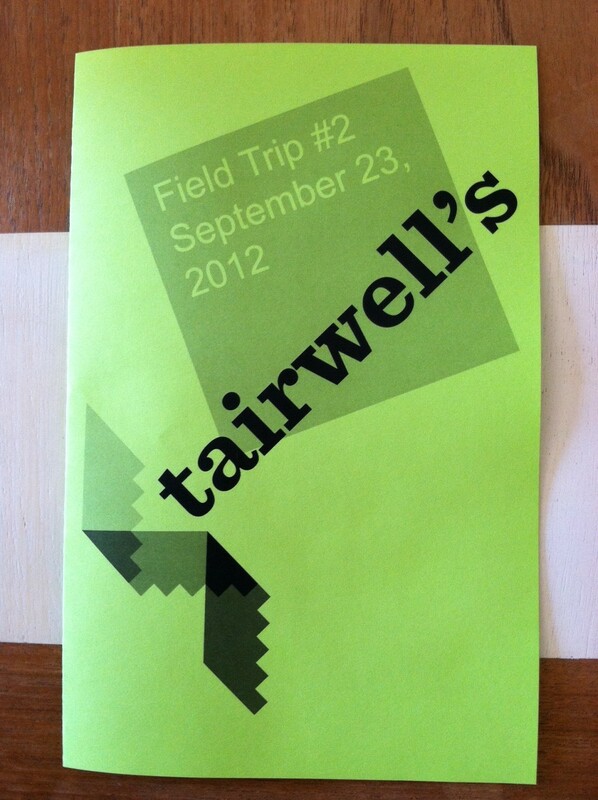 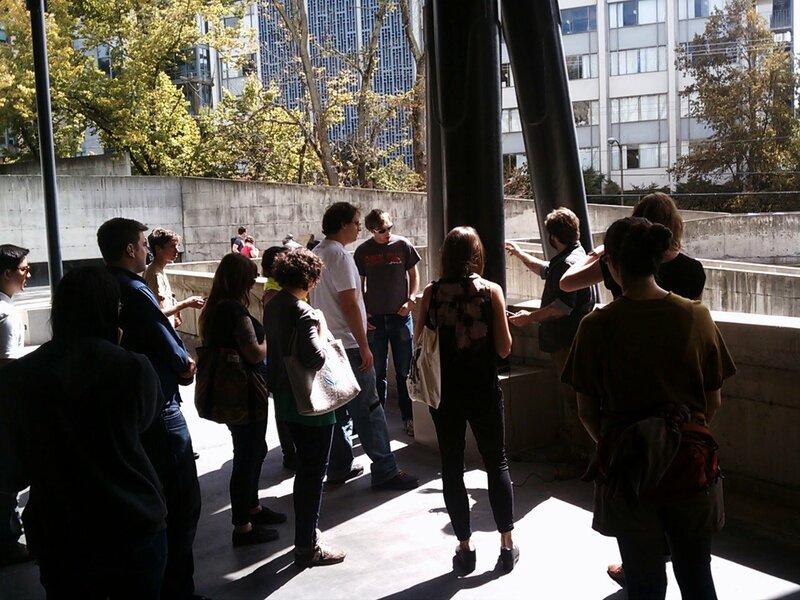 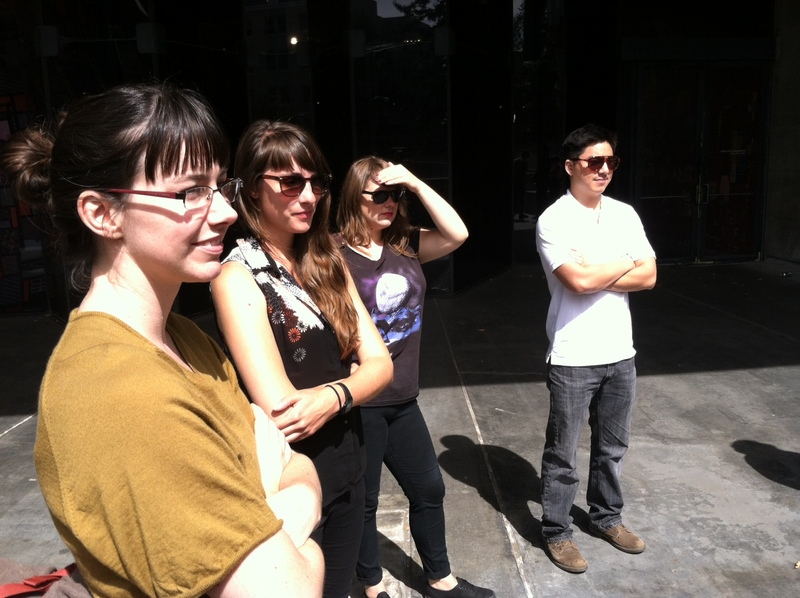 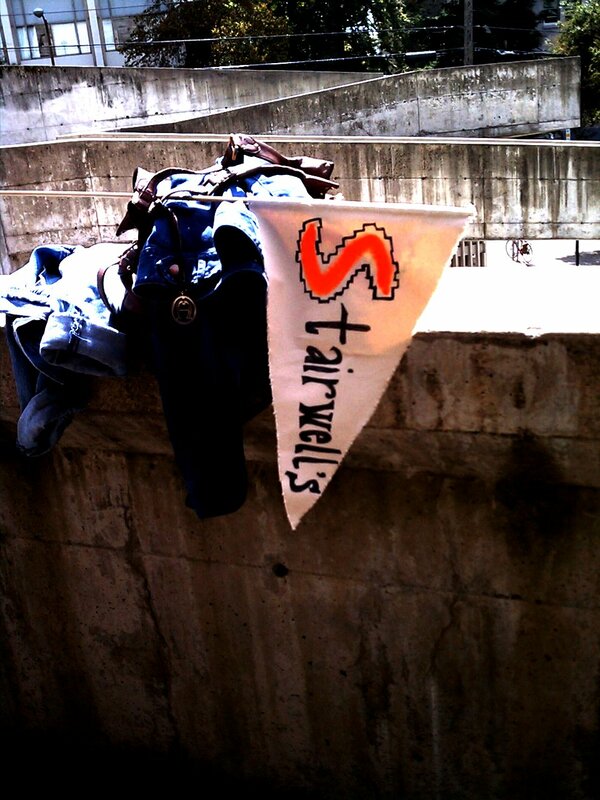 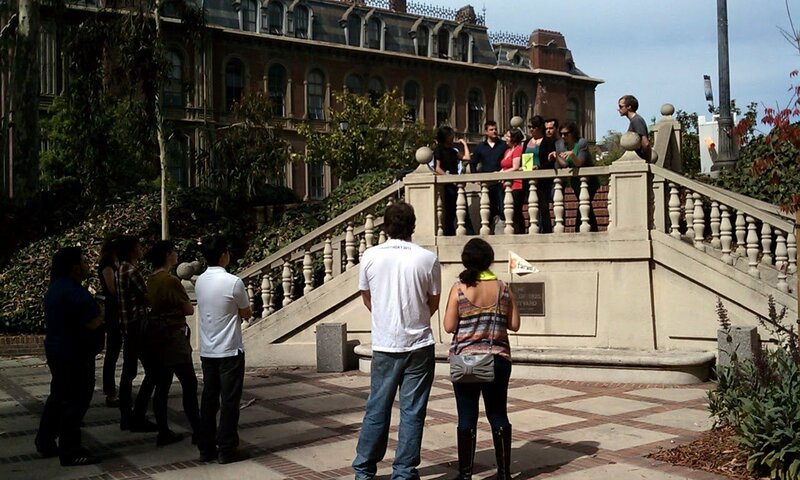 The second Stairwell’s Field Trip addressed how people and sound move through stairway structures in Berkeley. 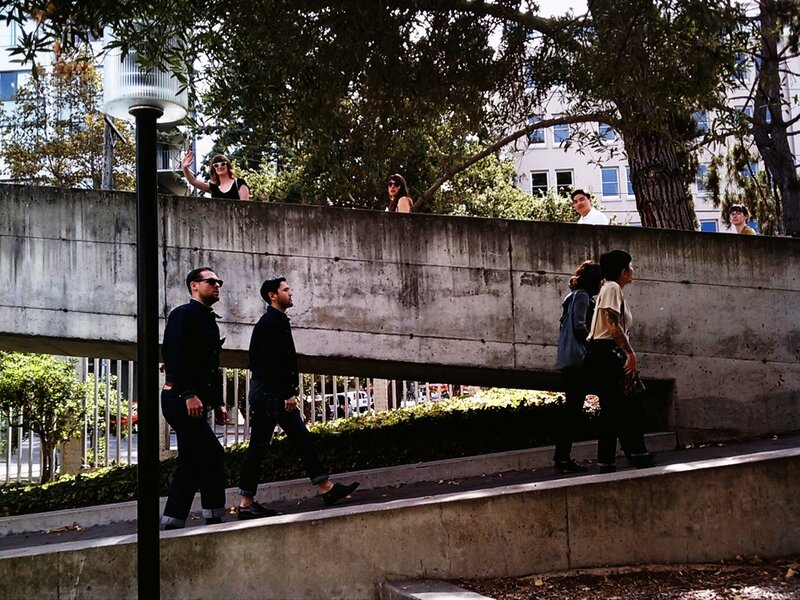 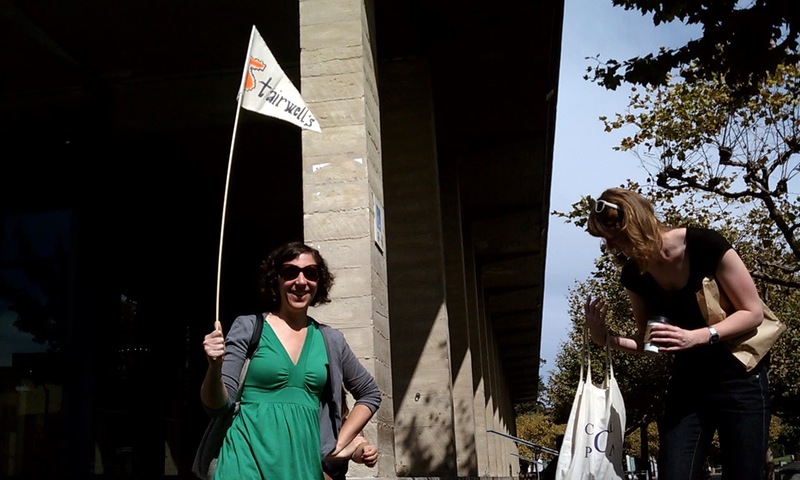 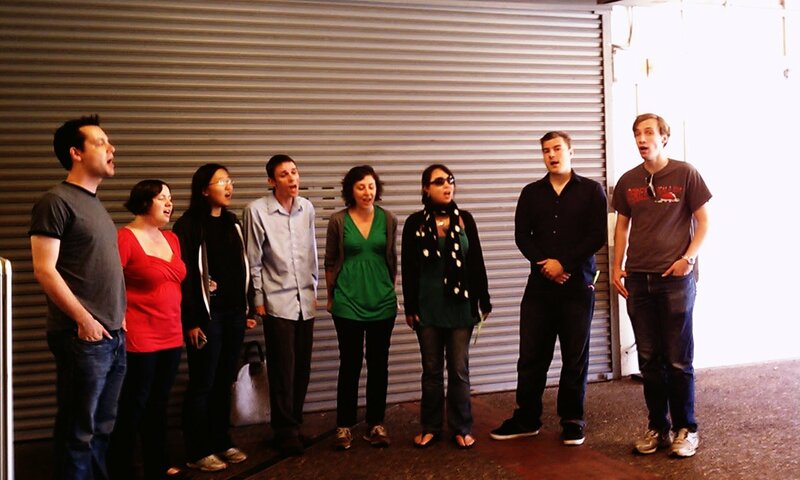 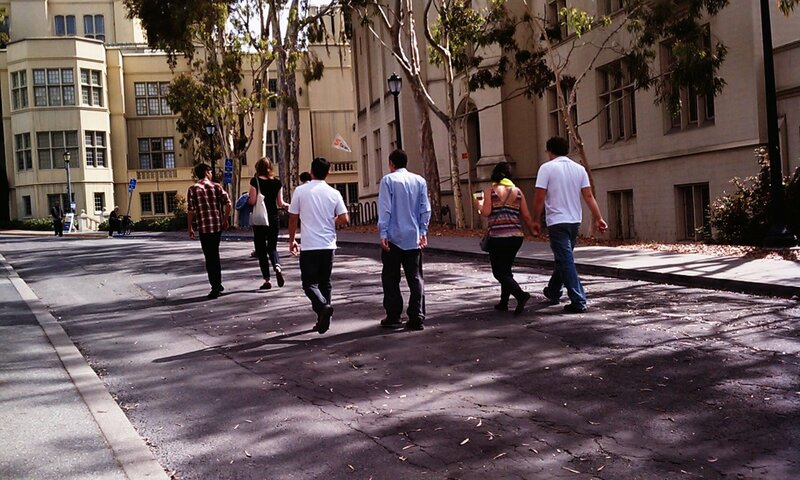 During this walking tour of music, art, and architecture, the a capella group Spot the Octopus led us around the UC Berkeley campus, performing songs and leading us in a raucous noisemaking session at the base of the Kroeber Hall stairwell. 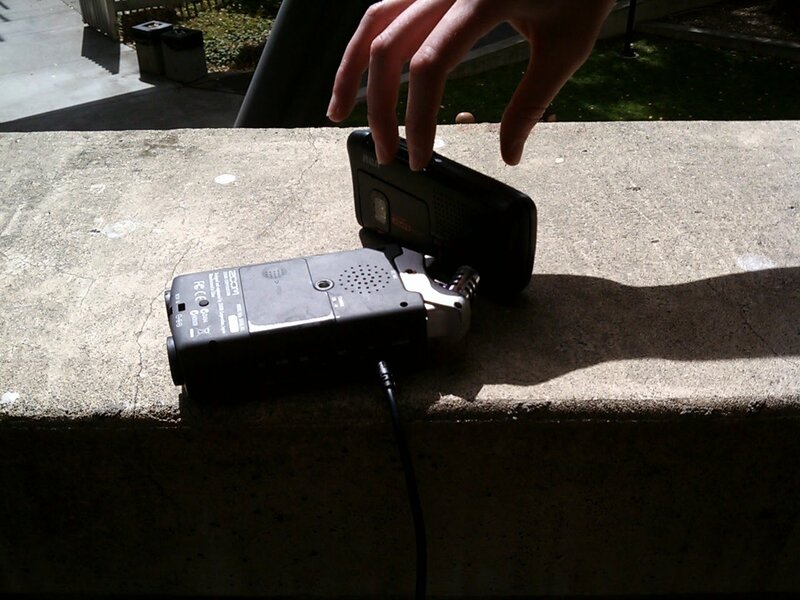 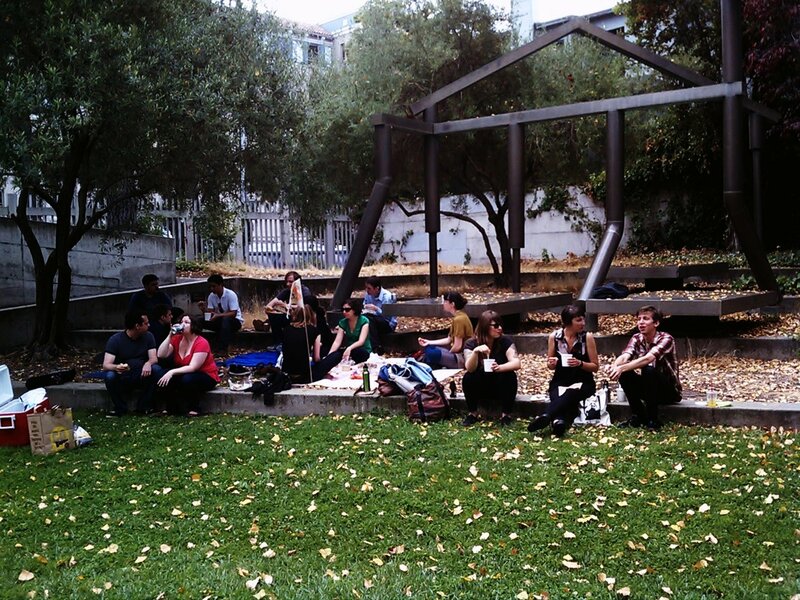 After a picnic lunch outside the Berkeley Art Museum, artist Collin McKelvey invited participants to listen to and manipulate audio devices he attached to the building’s supporting structures. 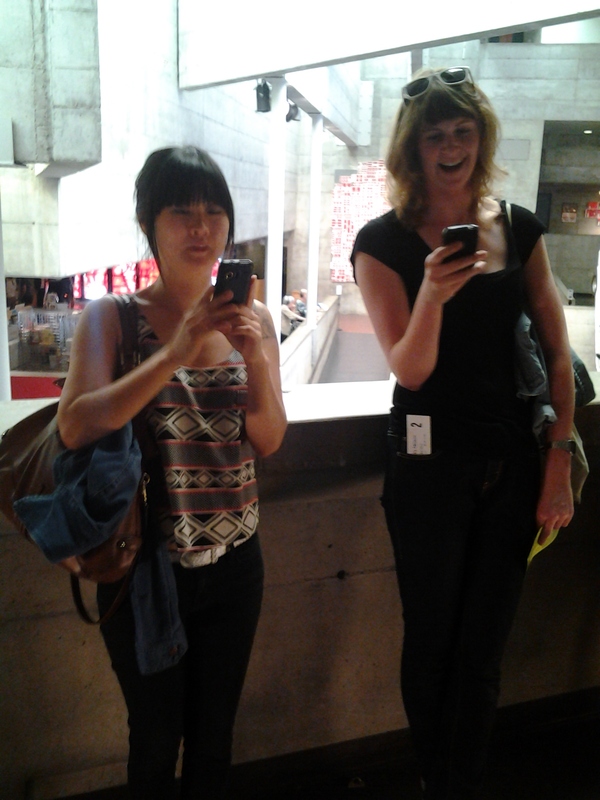 We then entered the museum and read Yelp reviews of the space, drawing on a remarkable store of enthusiastic comments about the building’s earthquake safety, Brutalist design, and other beloved qualities.